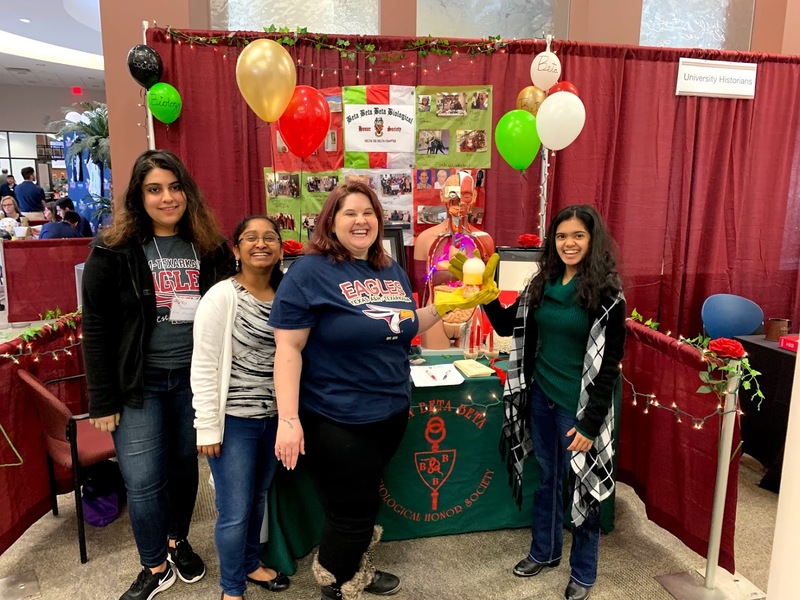 TAMUT Delta Chi Delta TriBeta Chapter wins $100 for booth display at recent Eagle Open House. Pictured Left to Right are Roya Morakabian, V. Ramichar, Stephanie Mann and Neha Amberkar. TriBeta is the National Biology Honor Society. 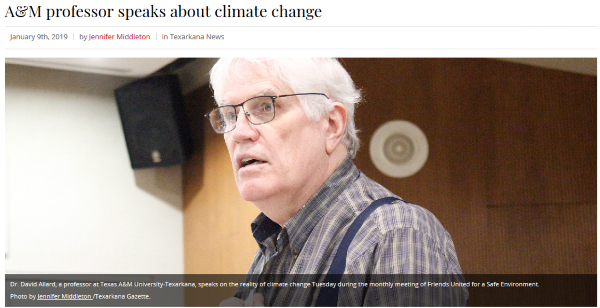 Dr. David Allard, Professor of Biology, presents on climate change. Story in the Texarkana Gazette. May 22, 2018 -- Dr. Ben Neuman's speaks about Ebola Outbreak in Democratic Republic of Congo. Check out the video of Alisa Robinson and Lara Jolley telling about their egg experiment! Conduct under the supervision of Mr. Brandon Quaid of the A&M-Texarkana Biology Department. frogs and a large sea slug,” Dr. Neumansaid. “There is a world of new viruses out there,and new ones keep popping up - whenever anyone reads genetic data from aplant or animal, they will also pick up the viruses inside that organism. As it turnsout, the average healthy-looking living thing is infected with around a dozenviruses at a time, most of which are new to science. In this study we were lookingfor a particular kind of giant virus calleda nidovirus, and what we found changes the way we look at this group of viruses,” Dr. Neuman said. “Before this conference, we thought it was mostly people, farm animals and mosquitoes that catch nidoviruses. These new viruses show that nidoviruses are in most kinds of animals, suggesting that this group of viruses is able to make big evolutionary leaps between very different kinds of hosts.” Also participating were Khulud Bukhari, Saad T. Mutlk, Hasan S. H. Alrashedi, Ban O. Abdulsattar, all of the University of Reading, UK; Guocheng Shu, Lanying Zhao and Jianping Jiang, all of the Chinese Academy of Sciences, Chengdu, China; Leonid L. Moroz of the University of Florida, Federica di Palma of The Earlham Institute, Norwich, UK, Nadia Ayoub of Washington & Lee University, Jessica Garb of University of Massachusetts-Lowell and Weilin Sun and Barry Pittendrigh of Michigan State University. “As part of the conference, I also participated in the ICTV Nidovirus taxonomy study group, where I named 56 new taxonomic ranks including the new virus families Abyssoviridae, Euroniviridae and Tobaniviridae. Before the addition of the three new families, the nidovirus order was comprised of four families.” The International Nidovirus Symposium is a prominent scientific meeting that focuses on a unique group of viruses infecting a wide range of animal species and humans. May 17, 2017 - Jobs! Recent graduates Javier Ordonez and Diane Wren have secured teaching jobs. Javier at DeKalb HS and Diane at LE-HS. Congratulations to them! Biomajor Kolton Perfect (2nd from right) makes Gold Glove team with .981 fielding average and is honored with a character award. May 2, 2017 - Biology major named all tournament. Second team all tournament at recent RRAC conference tennis tournament. May 2, 2017 - Biofaculty recognized for scholarship. April 25, 2017 - Biology majors excel at the Honors and Experiential Learning Showcase. Honors students Lara Jolley and Alisa Robinson present their "Duck Project." Fei Zhao and Brian Huhyn present their Experiential Learning posters. Shelby Elliott (left) and Thomas Strawn (right) were second place winners in the graduate and undergraduate categories, respectively, in the 2016-17 PLACE Essay Completion. Shelby's entry was The Public School Dilemma: Analyzing Student Prejudice Influenced by Geographic Isolation in the Texarkana Area. Thomas' was The Good ‘Ol Boys: Internal Racism in the Texas Parks and Wildlife Department. Shelby was sponsor by Dr. David Allard and Thomas by Dr. Tom Jordan. Shelby is a graduate student in Curriculum and Instruction with a content emphasis in Biology. She was an undergraduate Biology graduate with a teaching certification. Thomas is completing his undergraduate biology degree. Dr. Richard Parsons of TAMU-Texarkana speaks about birding at the First Annual TAMUT Earth Day Celebration. Sponsored by the TriBeta Society in the A&M-Texakana Biology Department. Mr. Brandon Quaid, Dr. Ben Neuman and Dr. Nurul Alam of the A&M-Texarkana College of STEM are pictured with the Applied Biosystems 7000 Sequence Detection System recently donated by the U.S. Department of Energy through the Lawrence Livermore National Laboratory in Livermore, California. The U.S. Department of Energy has donated an Applied Biosystems 7000 Sequence Detection System to the Texas A&M University-Texarkana College of Science, Technology, Engineering and Mathematics through the Lawrence Livermore National Laboratory in Livermore, California. 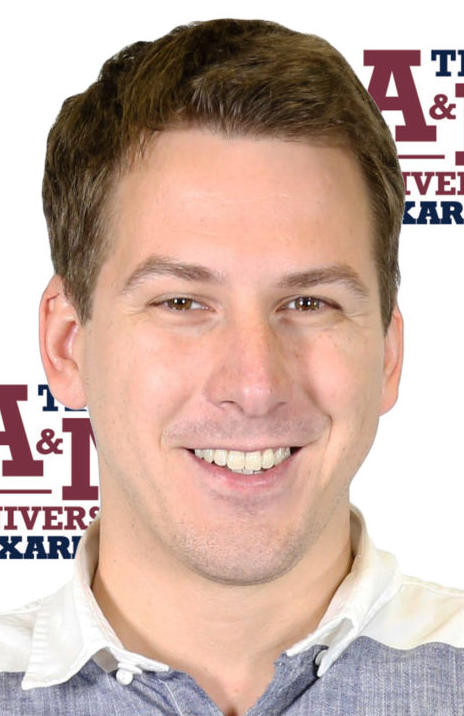 “The ABI 7000 is a real-time polymerasechain reaction (PCR) that will allow the faculty at A&M-Texarkana to incorporate new instructional exercises with the equipment to prepare our students for future careers, propose new research projects for external funding, and allow for a connection with the DOE for future funding projects,” said Dr. David Reavis,interim Dean of the College of STEM.